portable water system in Yendi. engagement with her Development Partners to promote effective development cooperation. Cape three points block (DWT/CT). Meeting of the Technical Committee of the West Africa Monetary Zone. framework to generate a pipeline of bankable public private partnership projects. Hon. Ken Ofori-Atta assumed his role as Chairman of the World Bank’s Development Committee at this year’s International Monetary Fund/World Bank Spring Meetings. This is a first for Ghana. Ghana’s Finance Minister, Mr. Ken Ofori-Atta has indicated that the surest way of attaining UN Agenda 2030 for Sustainable Development was to adopt growth-enhancing policies while containing risk and protecting the vulnerable. Minister Kenneth Ofori-Atta, Chairman of the African Caucus, and Ms. Christine Lagarde, Managing Director of the International Monetary Fund (IMF), co-chaired the African Consultative Group meeting today at the IMF Headquarters. They issued the following statement after the conclusion of the Group’s meeting in Washington D.C.
Book-build opens 9:00 AM, Wednesday April 17, 2019. Revised Pricing Guidance (released as necessary during the Book-build). Revised and Final Pricing Guidance (released as necessary during the Book-build). Books are expected to close around 2:00 PM on Thursday, April 18, 2019. The Government of Ghana with the support of the World Bank, have developed the proposed Ghana Economic Transformation Project (GETP). The Project seeks to promote and strengthen a growth model that is conducive to economic transformation to achieve higher rates of investment and productivity growth across the economy (especially in non-resource-based sectors), while also creating quality jobs and raising incomes. Ghana is expected to become the fastest growing-economy in sub-Saharan Africa with a GDP growth rate of 8.8% in 2019, according to International Monetary Fund’S (IMF) just-released 2019 GDP growth projections. The Minister for Finance, Mr. Ken Ofori-Atta and High Commissioner of India to Ghana, H.E. Birender S. Yadav have signed a US$150.0M line of credit for Agricultural Mechanization Service Centre project and another US$30.0M for the supply of potable water system in Yendi. As part of measures being put in place to improve the implementation of ABFA funded projects, the Ministry in 2019, engaged the MDAs to provide the utilization and the cash plan of their ABFA allocations in 2019 budget. Accra, Friday 29th March, 2019 – Management of the Ministry of Finance last week held its annual management retreat to take stock of its achievements and map up strategies for 2019. Mr. Hafez Ghanem, World Bank Africa Vice President has given the assurance that the World Bank Africa group will work together with Ghana in the area of digital economy. Accra, March 20. 2018 – A workshop to finalize Ghana’s draft development cooperation policy has been held in Accra. The policy provides guidelines and procedures for Ghana’s engagement with her Development Partners to promote effective development cooperation. The calendar is developed based on the Net Domestic Financing in the 2019 Budget, the domestic maturities and the Medium Term Debt Management Strategy (MTDS) for 2019-2022. The Hon. Minister for Finance, Mr. Ken Ofori-Atta has stated that, now is the time for renewed commitment in all aspects of our work as Ghana finally exit the International Monetary Fund Extended Credit Facility. On March 20, 2019, the Executive Board of the International Monetary Fund (IMF) completed the seventh and eight reviews under the Extended Credit Facility (ECF)1 supported arrangement. This will make available to Ghana the cumulative amount of SDR132.84 million (about US$185.2 million). Ghana successfully raised US$3 billion in Eurobonds yesterday. The country’s strong macroeconomic performance over the past two years and bright future prospects were confirmed by the Capital Markets with an unprecedented order-book in excess of US$21 billion; an oversubscription of more than seven (7) times the largest ever in Africa to-date. Accra, Wednesday 20th March, 2019 - On Friday, 15th March, Google’s currency converter widget displayed a cedi to dollar rate that was four times the actual value, alongside erroneous market rates of a number of currencies against the Ghanaian Cedi. A handbook that spells out the Ministry of Finance’s Employee Wellbeing policy on communicable and non-communicable diseases including HIV and AIDS, hypertension, cancers and malaria has been launched by the Hon. Deputy Minister of Finance, in charge of Revenue Mr. Kwaku Kwarteng at the Ministry of Finance during the Ministry’s first staff durbar of the year. The Ministry of Finance is committed to ensuring transparency, accountability and predictability of Government’s borrowing operations. Consistent with this commitment, we prepared and published the 2019 Medium Term Debt Strategy (MTDS), during the 2018 fiscal year. Following the passage of the Appropriation Act, 2017, (Act 951) by Parliament, the Ministry has issued this Budget Implementation Instructions in accordance with the PFM Act 921, to guide all Ministers (Principal Account holders) and Chief Directors (Principal spending officers) in the implementation of the 2019 Budget. A Deputy Minister for Finance, Mr. Charles Adu Boahen has inaugurated an Inter-Ministerial Planning Committee to oversee the successful hosting of IMF/World Bank Africa Caucus Meeting scheduled to take place in Accra from 31st July to 2nd August, 2019. Hon. Deputy Minister of Finance, Mr. Kwaku Kwarteng has noted that effective partnership between Government and the private sector in all spheres of the economy would greatly boost revenue generation. End-of-Mission press releases include statements of IMF staff teams that convey preliminary findings after a visit to a country. The views expressed in this statement are those of the IMF staff and do not necessarily represent the views of the IMF’s Executive Board. Ghana regrets the February 13, 2019 decision by the European Commission (EC) to add Ghana to its list of countries with strategic deficiencies in their Anti-Money Laundering and Countering the Financing of Terrorism (AML/CFT) framework. Aker Energy ASA has confirmed a significant offshore resource base in Ghana and has committed to scale up new development in the Deepwater Tano Cape three points block (DWT/CT). Book-build opens 9:00 AM, Wednesday February 20, 2019. Revised Pricing Guidance (released as necessary during the Book-build). Revised and Final Pricing Guidance (released as necessary during the Book-build). Books are expected to close around 2:00 PM on Thursday, February 21, 2019. The 2020-2023 Budget Calendar outlines the programmes and activities for an effective budget coordination and submission of Government’s macroeconomic policy statement and budget to Parliament. 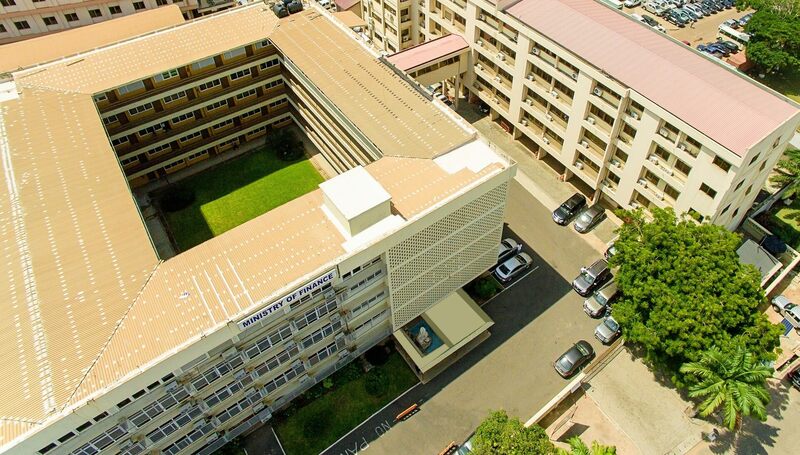 Pursuant to paragraph of clause of article 179 of the Constitution, a sum of money not exceeding Seventy-Eight Billion, Seven Hundred and Two Ghana Cedis (GH 78,771,833,602) shall be issued from the Consolidation Fund and other Funds during the financial year commencing on the 1st day of January and ending on the 31st day of December. Book-build opens 9:00 AM, Wednesday January 30, 2019. Revised Pricing Guidance (released as necessary during the Book-build). Revised and Final Pricing Guidance (released as necessary during the Book-build). Books are expected to close around 2:00 PM on Thursday, January 31, 2019.